Edited by Giorgia Calò. Text by Samuele Rocca. 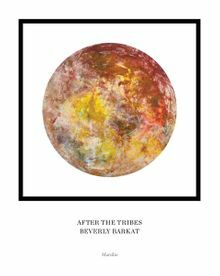 On the 70th anniversary of the State of Israel, Israeli artist Beverly Barkat (born 1966) presents her site-specific work, After the Tribes, at the Museo Boncompagni Ludovisi in Rome. The work is made up of a four-meter-high metal tower divided into twelve painted panels that represent the twelve tribes of Israel. Paperback, 7.75 x 9.75 in. / 120 pgs / 51 color. A fascinating volume that offers an overview of Barkat's career. 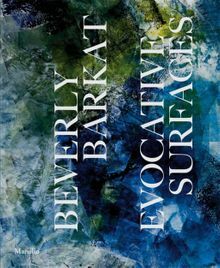 Beverly Barkat's painting is rooted in a profound and ongoing dialogue with art history. Her study and observation of the figurative and realistic tradition in Western art has resulted in her accumulating a body of knowledge that she draws on directly in her artistic practice. To achieve her aim of capturing the essence of the body in motion, Barkat has begun working on a large scale, using broad gestures that recall action painting. The best of her production, together with her latest works (large-scale painted PVC sheets), is illustrated in this book, her first. Hardcover, 11.5 x 9.5 in. / 120 pgs / 93 color.